Reputation: Middlebury grads have a great reputation among the largest, professional firms (law-Skadden, S&C, Banking-Goldman, Credit Suisse, etc.) and grad schools. Writing as a recent graduate, it's true that if you do well at Midd, you will get a good—well paying or resume building—job. Just make sure you intern during your summers/J-term too. Students: I'm still close with Midd friends and am about to lease an apt. with a friend from Cornell and one of my roommates from my senior year at Midd. There are a few distinct types of Midd kids, who tend to befriend others of their type. If you are a crunchy, theatre person, you'll find a likeminded group of crunchy, theatre friends. If you are a prep, you'll be able to find the right social house for yourself. Money, whether you have it or not, is not a big issue. The kids who really have it don't flaunt it, although they'll invite you to their ski lodges or vacation homes. Racism: I'm half Asian and never felt uncomfortable or discriminated against. I can't speak for hispanics or blacks. 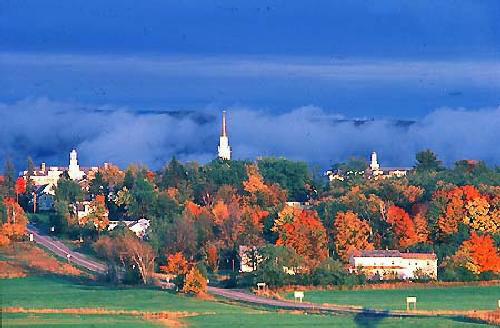 Location: Middlebury is very cold and in the middle of nowhere. The nearest intl' airport is Burlington (45 min. North), which is a pain when traveling. The majority of students bring a car and parking isn't awful, though our campus security dept loves to ticket. Departments: English, Political Science, Economics, Classics and Theatre are strongest. The Japanese department is horrible in every regard, seriously.